Overtraining, or CNS (central nervous system) overload is no joke. The picture below from a recent tweet made total sense. Keep your “bucket” or your “state” full for better performance, awareness and energy. 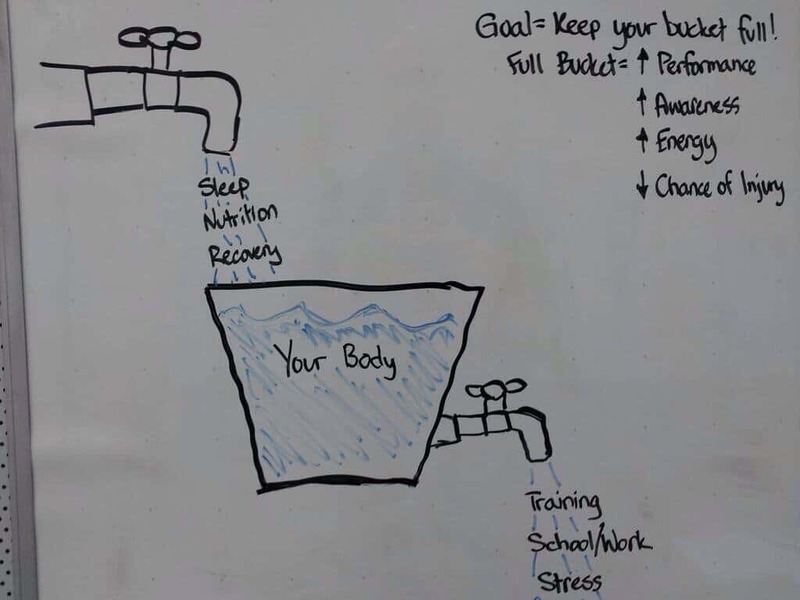 Sleep, Nutrition and recovery will help you keep that bucket full. Training, school, work and stress will drain it. But there is a missing element not presented her. We know the chance of injury or the chance of getting sick will increase if the bucket is low (or empty!). The training tap should go into another bucket, and it’s important you don’t overflow that second bucket. Too much training, especially high intensity training like short speed work or Olympic lifting, should be kept at minimalist dosages “enough to be effective”. 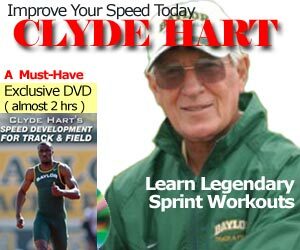 This is why I keep my short speed sessions at 500m total volume (i.e. multiple sets and runs of 30 meters). And why we do our Olympic lifts in sets of doubles or triples (2 or 3 reps). We do not do 1 rep max (1RM). So keep it simple. Keep that bucket full.